Product #16319 | SKU ACCV1BP | 0.0 (no ratings yet) Thanks for your rating! 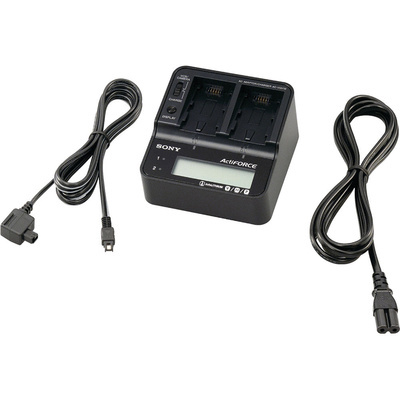 The Sony Basic Power Kit for HXR-MC50U is a Kit that includes a Sony V Series high-capacity battery pack, to keep your HXR-MC50U camcorder powered for hours at a time, and an adapter/charger with dual battery slots that charges a second battery the moment the first one is full. The unit also functions as an AC adapter for powering the camera when all batteries are D.O.A.